The use of tobacco is now leaning towards the use of shisha in modern times. It has been around for centuries in the Eastern cultures in countries around the Middle East Countries and Northern Africa, but its use has recently gained more popularity across the world. Previously popular amongst the people of Arabic descent, shisha is now an international style of smoking tobacco amongst its users. The thrill about shisha by multitudes across the world has led to the development of shisha bars even in America, Europe, Asia and Africa. Smoking shisha is a slow and relaxing experience. The popularity of shisha is not based on the product itself but the overall feel of its use. The preparation of shisha involves carefully cleaning a hookah with cold water, placing the tobacco onto a bowl, lighting it and adding charcoal to heat it. To filter, cool and soften shisha, one has to bubble its smoke through the cold water in the hookah. When the pleasing scents of shisha spread in the air, they facilitate meditation through slow breaths, and that improves a user's general feel. Smoking a shisha lasts between thirty and sixty minutes. That is what the shisha buzz is all about. To heighten the feeling you get when smoking shisha, you can add ice to the water in the hookah or chill its hoses before use or use various aromas. To enhance the smoke of shisha fruit flavors, fruit juices or wine are added to the base of the water in the hookah. Again, the combination of shisha flavors increases satisfaction too. Shisha smoking should be done with the particular type of charcoal meant for shisha. Any other type of coal risks carbon monoxide poisoning and an unfavorable quality of shisha smoke. 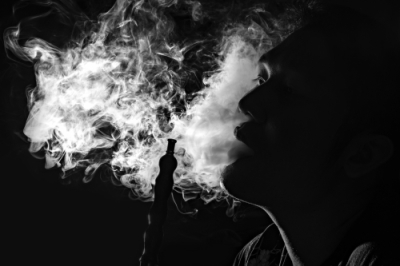 If the smoke is deficient in a shisha flavor, it is usually a sign of insufficient heat and rarely the quantity of tobacco because a small amount goes a long way. Hookahs come in different styles ranging from Egyptian to Persian, traveling, specialty models and custom designs. There is a rich story behind the artistry of hookahs. Hookahs were traditionally made from blown glass often decorated in gold or enamel painting, brass, aluminum, silver, porcelain, carved wood or stone and leather. Today, hookahs still use the traditional materials and added stainless steel, plastic, rubber, Pyrex glass and high-quality acrylics among others to the list of options. Just like any other social activity, smoking shisha has a number of guidelines. They include; never lighting a cigarette using the coal that is used to heat the shisha, not blowing smoke into another person's face unless they make that request, not sharing mouthpieces, placing the hookah's hose on the table once done to give others the opportunity to smoke as well and wrapping the hoses around the stem of the hookah once smoking shisha is complete. Kindly visit this website http://www.wikihow.com/Set-Up-a-Hookah for more useful reference.